Polyamide exterior finished fire resistant handle with steel core for fire resistant doors, emergency exits and / or evacuation. 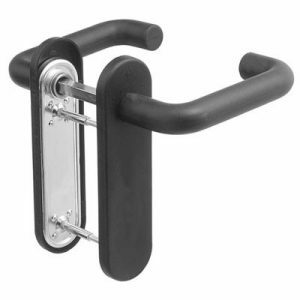 High strength and high quality fire resistant handle that allows the opening of doors specially designed for the evacuation of buildings and / or doors with fire performance. Possibility of placement in doors of different types. Possibility of placing the system in different environments. Possibility of manufacture in different finishes.